I know it's just a laundry closet, but I did want to spice up the light a little and I didn't want to spend much money. A $2 DIY light fixture did the trick. I purchased two 10" hanging wire garden baskets at the dollar store for $1 each. Each had a chain attached at three points by small clips. From one basket I removed both the chain and clips. From the other basket, I removed just the chain and left the clips in place. I placed the two baskets together with the large open sides together and then used the clips, that were still attached to the one basket, and connected them to the other basket as well. Now I have what looks like a sphere. The baskets have a perfect round opening in the bottom perfect for the light bulb. My bulb couldn't fit through so I just removed it from the socket, put my new light fixture in place and then twisted the bulb back into place. At this point nothing is holding the fixture in place other than the bulb. That's not ideal. I didn't want the fixture actually touching the bulb for obvious overheating reasons. I used a little piece of the chain which I had removed and looped it through the top of the fixture and then attached the chain to the ceiling with small screws. This pulls the entire fixture up and off the bulb. I also made sure the chain for the light went through the two round areas at the top and bottom so it didn't get caught on anything and jam. 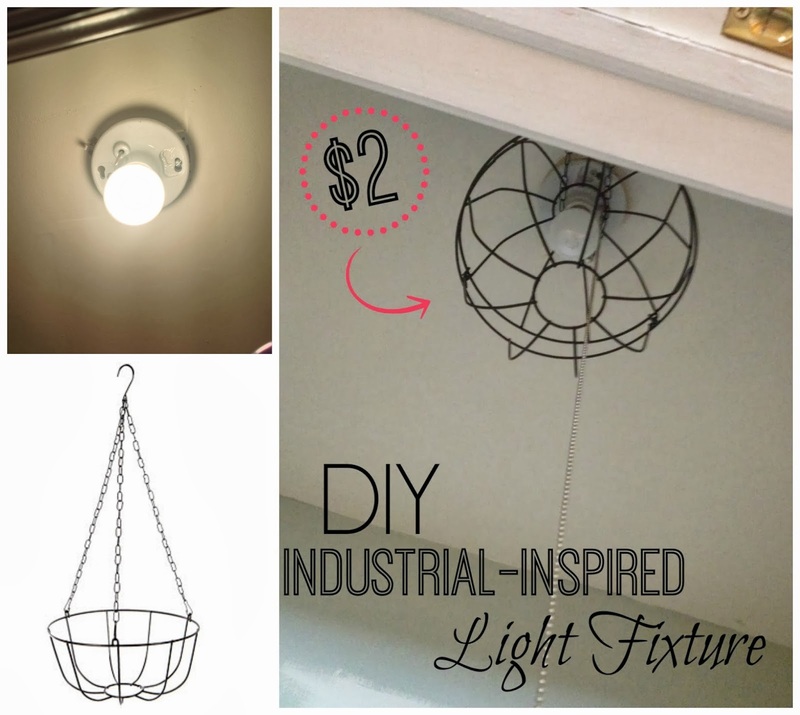 And that's it...my DIY Dollar Store Industrial-inspired light fixture is complete and for just $2 I am pretty happy. It beats some of the pricey alternatives, which I admit I would probably use in a place in my home that's a little more high traffic than the laundry closet. 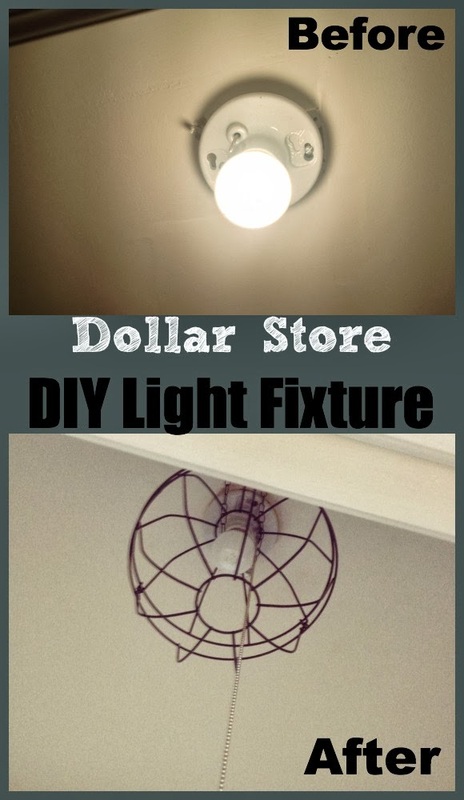 But for somewhere like a closet or a pantry where you just want to jazz up the ceiling light socket, this is a really easy and really inexpensive way to do just that.